Curcumin, found in the yellow Indian spice turmeric, has amazing health benefits, including elevating mood and combating depressive symptoms as effectively as the prescription drug Prozac! Wow! Used as an herbal medicine and food for nearly 4,000 years, turmeric is a well-documented treatment for a wide range of disorders, inspiring researchers to dub it “the golden spice of life”. I personally take a 1/2 of a teaspoon of Turmeric every morning in warm water, lemon and honey. 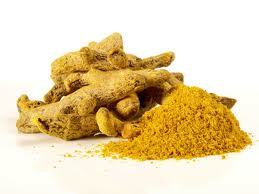 It is extremely anti inflammatory and will boost your mood! When the body is inflamed ( from excessive alcohol, over eating animal flesh, smoking, eating processed foods to name a few) it is a breeding ground for disease. Anti inflammatory spices and herbs, like Turmeric, are amazing at reducing puffiness, joint pain, asthma, arthritis, it even speeds metabolism…it is a wonder spice! The premier of Bolly Blast on Veria….I did all of the hair and makeup on these goddesses! I did all of the hair and makeup for this fabulous new show on Veria, Bolly Blast! It was such a pleasure working with and beautifying Hemalayaa Behl, Kimberly Miguel Mullen and Karina Vogt. True goddesses!